Reyes Roofing Contractors, LLC is a leading residential and commercial roofing contractor serving the Fairfax Station, VA area. Reyes Roofing Contractors, LLC is a roofing contractor that has been providing top quality roofing repair and installation services to Fairfax Station VA, Northern Virginia, Washington, DC and Maryland since 1991. 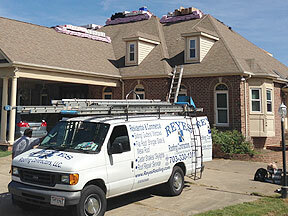 Whether your roofing needs are residential or commercial, Reyes Roofing Contractors, LLC has it all under one roof. There are many benefits of a new residential roof. A new roof will reduce energy costs, raise the market value of your home and provide long-lasting beauty and comfort. At Reyes Roofing Contractors, LLC, we install traditional shingles, architectural shingles, TPO system, EPDM system, standing seam metal, synthetic slate, cedar shake, synthetic shake, metal shingles, and specialty tile roofs such as slate and spanish tile. All of our Reyes Roofing Contractors, LLC employees are uniformed, drive marked vehicles and are CertainTeed Certified Master Shingle Applicators. We also expertly install a wide variety of commercial roofing systems including Vinyl Slate, TPO, Synthetic Shake, Built-Up, Modified Bitumen, Single-Ply, Standing Seam Metal, EPDM, and Torch Roofs. In addition to roof replacement and repair, Reyes Roofing Contractors also offers skylights, downspout systems, attic insulation, concrete patios and driveways, siding, windows, skylights, seamless gutters replacement, and much more. 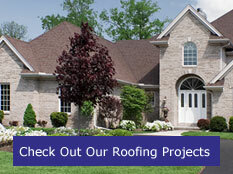 Click here to see samples of some of our roofing projects. Contact us at Reyes Roofing Contractors, LLC with any of your Fairfax Station, VA roofing questions.